Overview: The powerful industry of Cleveland’s past can still be seen today, reflected in impressive monuments such as the Detroit-Superior Bridge. 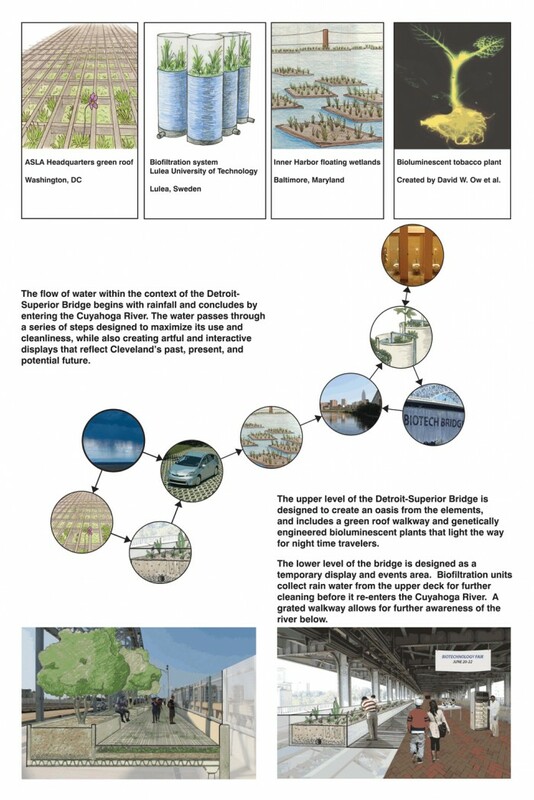 The Cuyahoga River also reflects the city’s industrial past, and the fires that burned on the polluted river ignited questions of how a city can prosper without destroying the environment in which it grows. 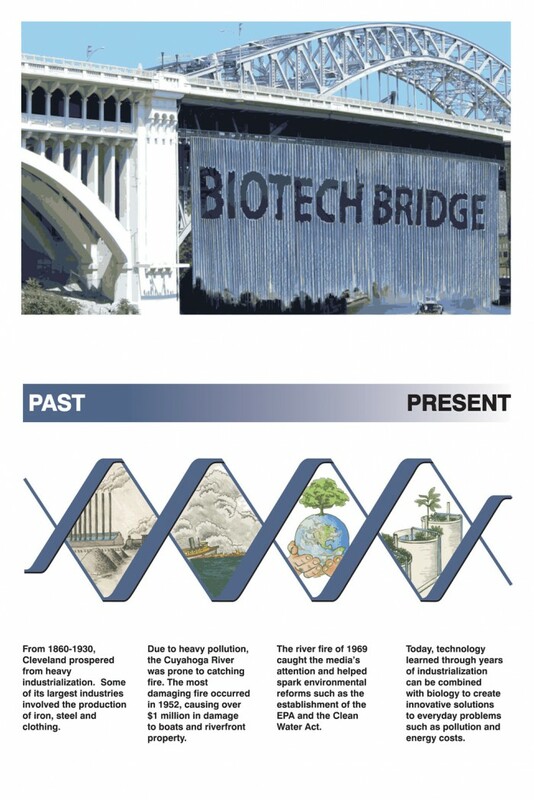 Biotechnology provides a new solution in which to utilize technology gained through industrial development in a manner that can benefit the environment. 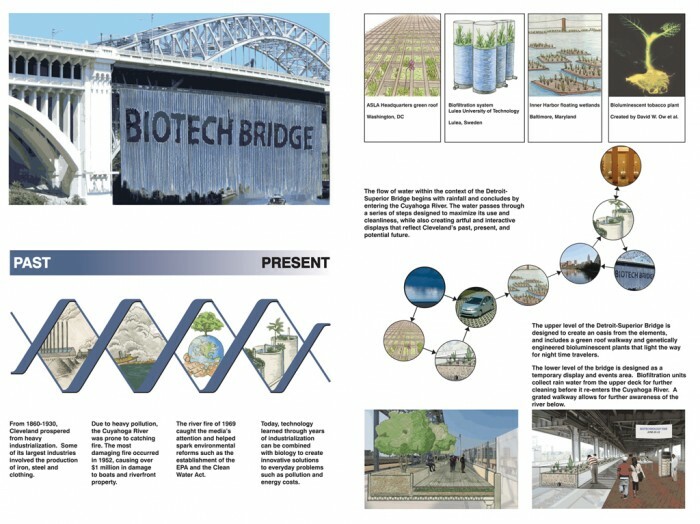 This design transforms the bridge into a living machine that helps heal the scars left from the city’s industrial past, and at the same time celebrates the latest in biotechnological innovations. When people travel across the Detroit-Superior Bridge, they are surrounded by a novel, startling urban landscape. Plants grow under pedestrians’ feet and vehicles’ tires, and genetically engineered bioluminescent trees light up pathways during the night. Water pulled from the river is cleaned by living machines and falls from the bridge, spelling out what is currently happening on the bridge like a giant billboard. The bridge is both a solution to the dilemmas of a growing city, and a place for people to wonder at what science and industry will bring to the future.